Five months after announcing a tentative deal, the Boeing Co. and Brazil’s Embraer aerospace company say they’ve approved the terms for a joint venture that would take in Embraer’s commercial aircraft and services operations — plus another joint venture to promote and develop new markets for Embraer’s KC-390 military transport plane. Boeing would acquire an 80 percent ownership stake in the commercial joint venture for $4.2 billion, the companies said. That amount is 10.5 percent higher than the figures cited for the tentative agreement announced in July: Back then, Boeing said it would take an 80 percent share of a joint venture valued at $4.75 billion, which would have worked out to a value of $3.8 billion for Boeing’s share. The CEOs of both companies hailed the approval of the terms today in a news release. 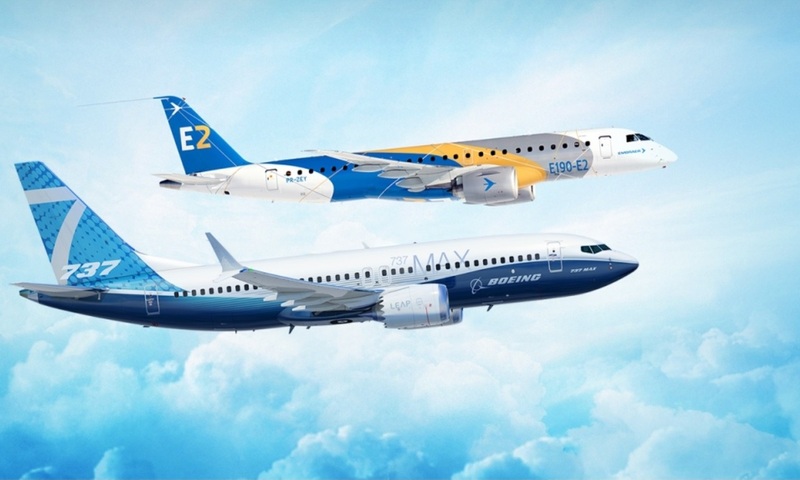 This entry was posted in GeekWire and tagged Aerospace, Aviation, Boeing, Embraer, Technology. Bookmark the permalink.